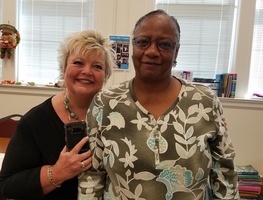 Dr. Betty Jo Hall, Abbeville County School District Superintendent, visited the adult education program to wish Mrs. Ruth a happy 70th birthday! 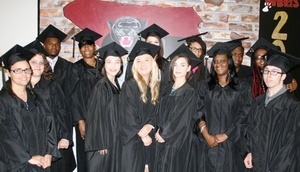 Mrs. Ruth has passed three parts of her GED and is looking forward to graduating! Congratulations, Mrs. Ruth. 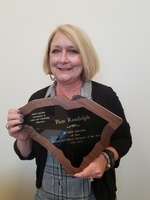 Pam Randolph was named the 2018-19 College and Career Navigator of the Year at the Celebrating Our Success Luncheon in Columbia. 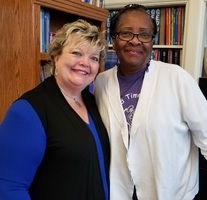 Pam has worked at Abbeville County Adult Education since 2006. She also serves as the LACES Coordinator for the program. 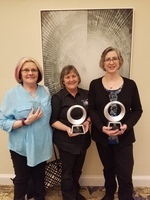 Congratulations, Pam!